Lisbon has been getting invaded by kiosks over the last years. After Avenida da Liberdade and São Pedro de Alcâtara Viewspot now it’s time to Ribeira das Naus (see where it is here) have one of these little round establishments placed in the middle of the street. Perfect for a get together afternoon with friends, or a romantic sunset. Open everyday until 2am, with DJ sets on the weekends. No, today we aren’t going to talk about museums (although this is one of the most interesting in Lisbon). 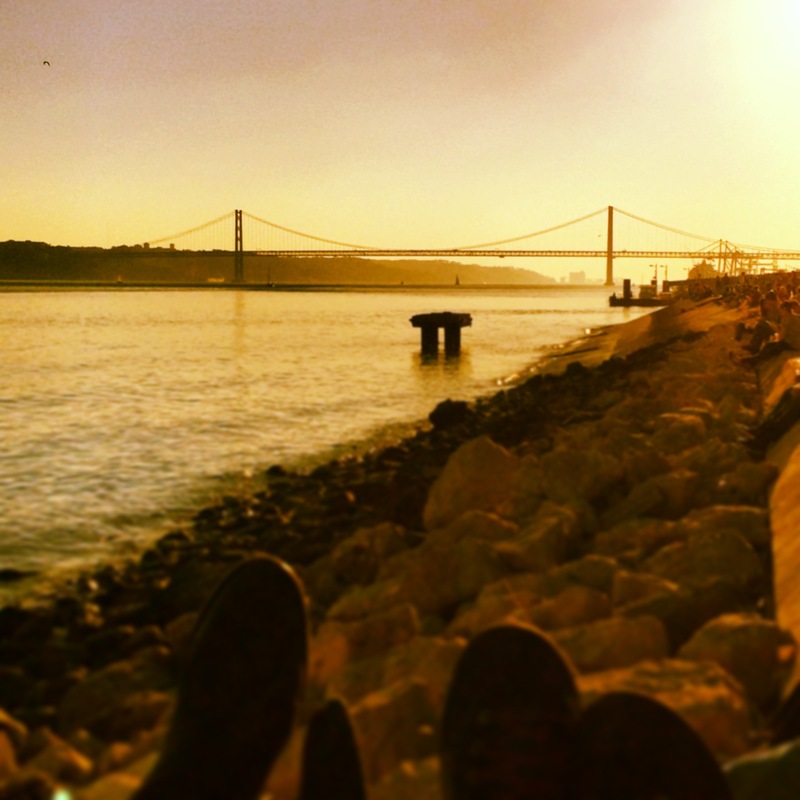 Today we bring to you one of the most quite and beautiful promenades in Lisbon. Inserted in the garden of the museum, this promenade has a magnificent view over the Tagus River. Depending on your spirit, you can order a cup of tea or coffee, a cold drink or a light meal. 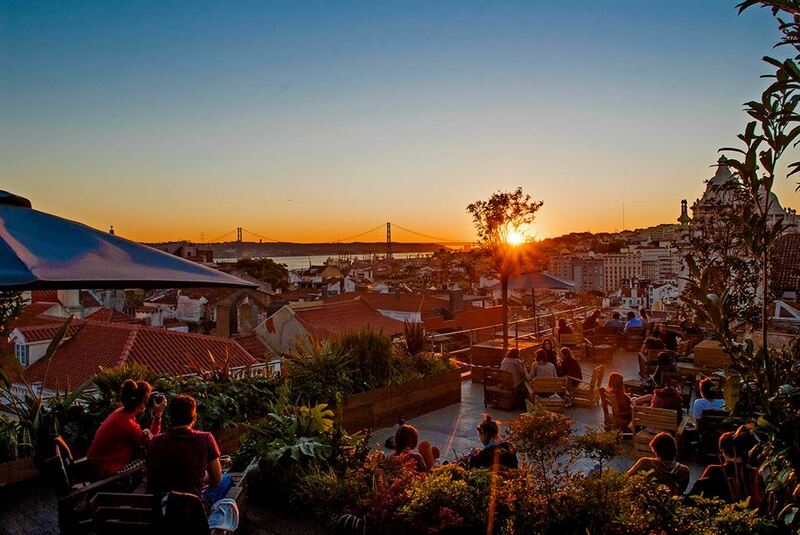 From the Castle to Lisbon’s downtown (Baixa) and the Tagus River, this Bar probably has one of the best views in Lisbon. It’s open from 6:30 PM to midnight, and offers a wide range of drinks and cocktails, along side with some snacks. 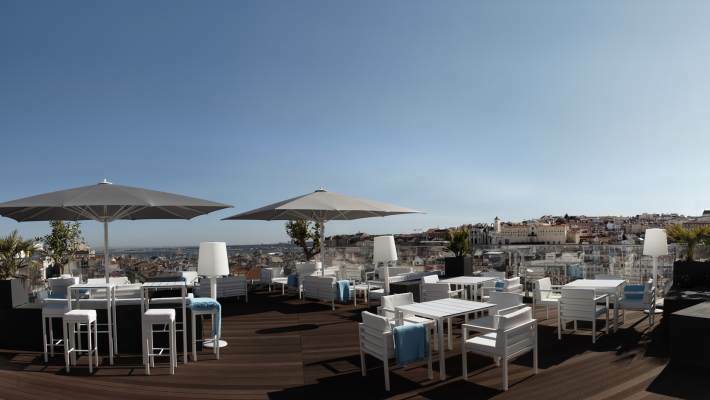 To improve your Lisbon Experience, sometimes the magnificent view comes with Jazz Concerts. At the top of one of Bairro Alto’s car parks (7th floor) you’ll find a scenario that goes directly to the list of the most fantastic Lisbon terraces. 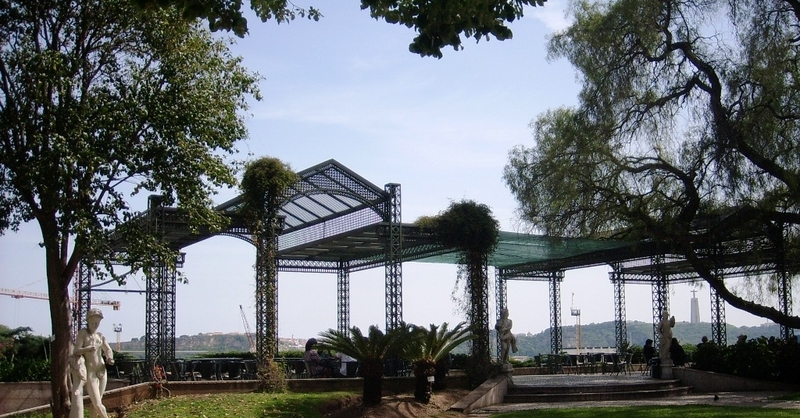 With a 180º view over Lisbon and the Tagus, the PARK is the city’s first hanging garden. Has daily and diverse cultural program, with outdoor cinema, djs, many styles of music and themed events. Besides bar, the Park is also a restaurant with a trademark – the Portuguese DOC – which proposes delicacies like “black pig” burger. The music program is made by the musician and dj Tiago Santos, of Cool Hipnoise band. 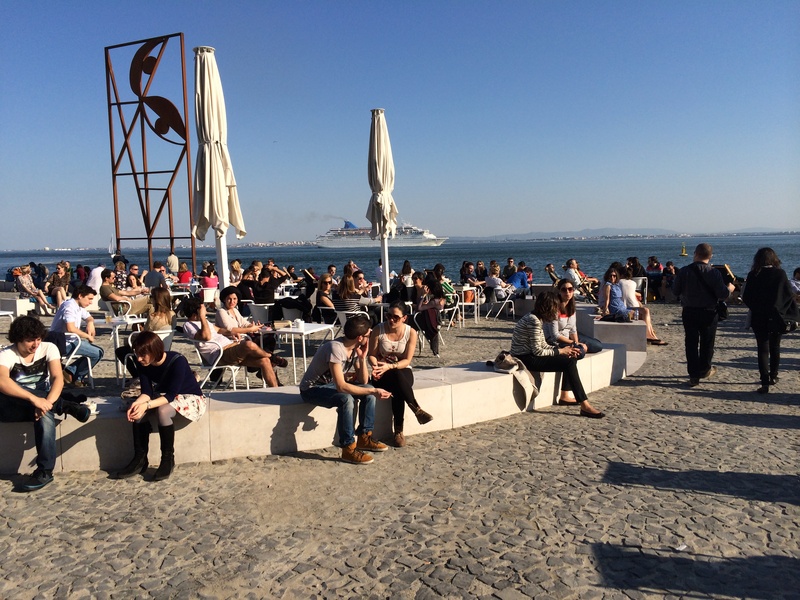 Find some time to go at Le Chat‘s promenade to enjoy its beautiful view over the Tagus river. While you’re there you must try one of their great cocktails, or if it’s cold, simply have a warm cup of tea.